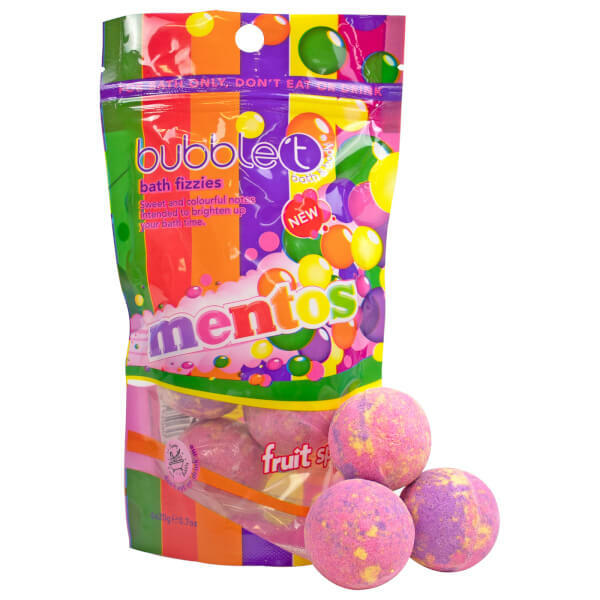 Enjoy an explosion of fragrance, colour and fun with Bubble T x Mentos Fruit Splash Tea Mini Bath Bomb Fizzers. The limited edition range combines the brand's love for tea with the delicious chewy sweet; simply drop into warm bath water to fill your bath tub with multi-coloured hues and a fresh, fruity fragrance. 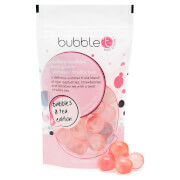 Notes of Strawberry, Raspberry and Blackcurrant blend with fresh Apple, Orange and a twist of Tea. Simply drop one or two bath bomb fizzers into warm water and relax as they fizz away to leave behind a fresh and fruity fragrance and multi-coloured hues. Sodium Bicarbonate, Citric Acid, Sodium Sulfate, Glycerin, Parfum, CI 17200, CI 19140, CI 14700, CI 42090.